LeBron James doesn’t mess around in South Beach. The King lead his Lakers to their fifth win in 6 games last night against his former team on Sunday ngiht, picking up a 51 piece McNugget meal along the way. But this — this is something else. 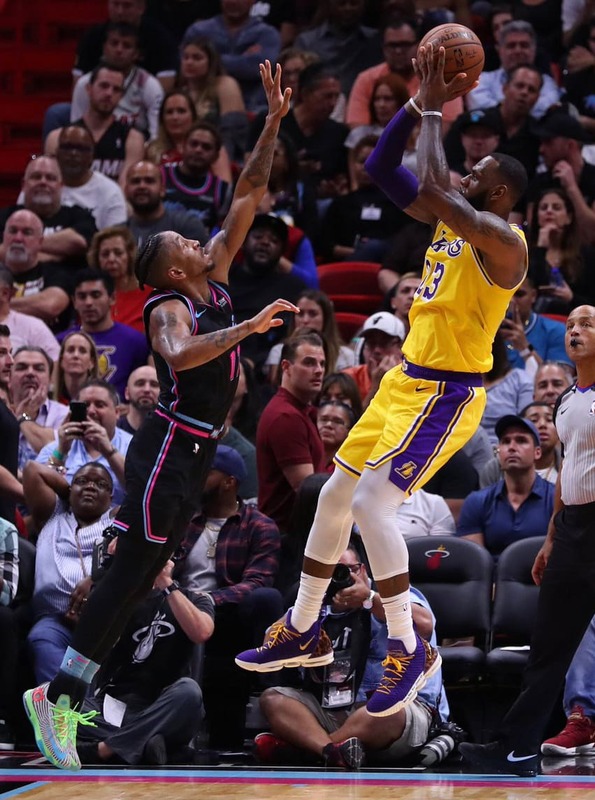 During the last quarter, with the Los Angeles Lakers holding a big lead over the Heat, ​James dribbled up the court already having 48 points in his back pocket. And if you’re that close to 50, you’re gonna wanna go for it. So he did. Despite Miami’s double team attempt to thwart Bron’s party. Then King James drained a three, right in their face. LeBron performing at his peak like this means one thing. W’s. And, after a shaky start, the Lakers have improved their record to 9-7, winning five of their last six — as mentioned earlier. With the Warriors seemingly falling away and the Lakers starting to gel more and more each week, the Western Conference is about to get a whole lot more interesting.